My sister and I do a personalized calendar for my parent's anniversary every year and my Mom always says she wishes she could frame it. I instantly knew that this year I was going to listen to that wish; I was going to take a special moment between the two of us and frame it. We have a gallery wall in our main hallway at my parent's house and it has tons of pictures: My parent's wedding day, my Dad as a little boy, my grandparents, my sister and me as little girls, professional family photos, etc. I'm not sure there is room to hang another picture but in my family a framed present is one of the best gifts to receive! We don't have a lot of recent pictures around the house because everything has gone digital. 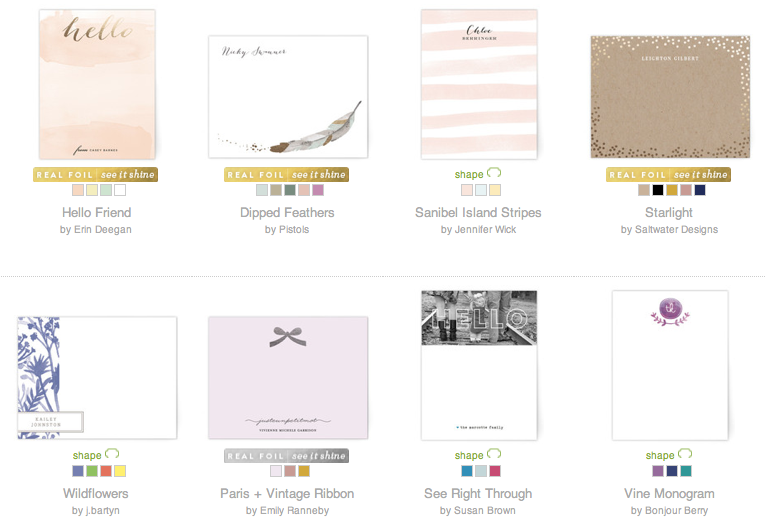 Enter Minted… I have long admired the quality prints from this website and their stationary is reserved for only the most important thank you's and personal notes (need to restock ASAP)! 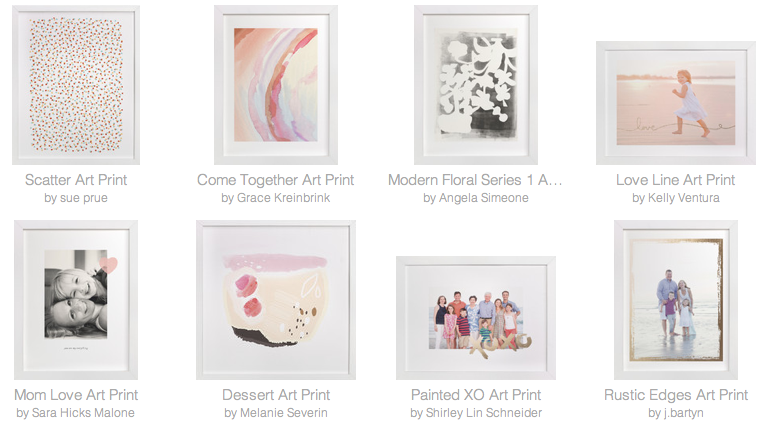 Working with Minted was a no brainer when choosing my personalized Mother's Day gift! I've ordered business cards and had art printed from them in the past - always the easiest process, extremely reliable, and the selections are high quality and beautifully crafted. 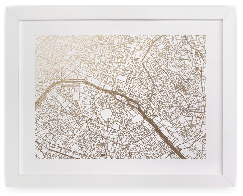 Seeing the gold foil prints (obsessed with that map!!) 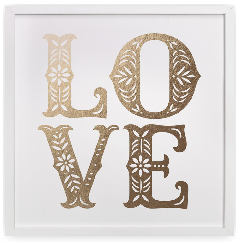 made me want to combine some intricate details with a photo so I decided a gold foil print around my photo would be the perfect delicate touch. I stuck with a white frame because I love the colors in my photo so much. What do you guys think? I cannot wait to get it!!! (I'm having it sent to my house first so I can see it in person before giving it to my Momma hehe) We took this photo on Easter while eating brunch at Woodberry Kitchen and celebrating her birthday. It was such a simple evening but it was so nice to spend it with each other and be home! 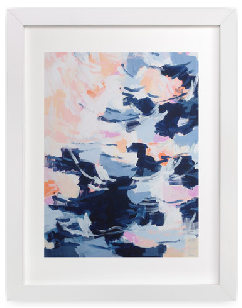 If framed pictures/art aren't your thing (or your mom's) make sure you look through the stationary and notepads. 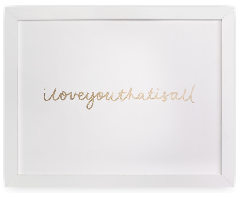 Adding a simple initial is a sweet little touch that shows your mom you were thinking about her and how much you care! 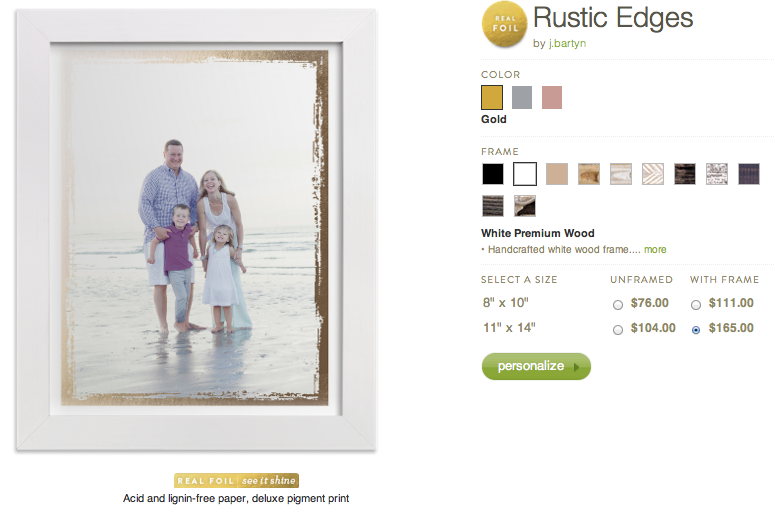 Now for the exciting part - YOU can receive 10% off your Mother's Day purchase with code ANCHORS10 through May 5th! Trust me, your mother will love this personalized thought and ordering now will ensure it gets there on time! (Bonus points… am I right?!) 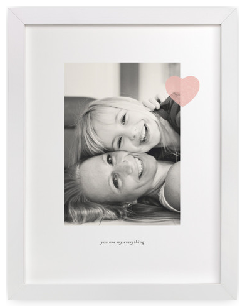 What are you getting your Mom for Mother's Day? Do you celebrate in any special way? 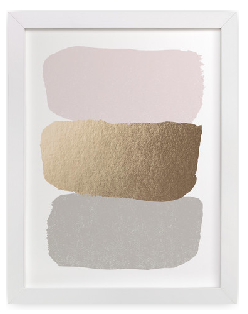 *this post was a collaboration with Minted - I received product as compensation. Of course, all opinions and thoughts are my own. 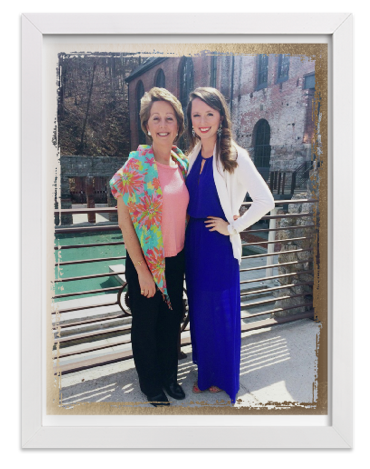 I LOVE Minted and so does my mom! What a great idea!